AstonTech Multimedia Services (www.astontech.co.uk) was contacted by a local land owner to capture, document and measure damage which had been caused to his agricultural land as a result of excavations by the local council. Accurate measurements were required to allow the landowner to claim compensation for the damage caused to his crops by the local council who had undertaken exploratory excavation work in these fields. A number of options were considered in relation to quantifying the extent of this damage, but it was decided that the most cost effective and efficient method was to use a drone along with MapsMadeEasy software to document and measure the damaged areas. AstonTech were approach to undertake this work due to their knowledge and expertise in undertaking this type of work.  AstonTech Multimedia Services decided to use a Phantom 3 Professional (P3P) drone to capture the aerial imagery required for the MapsMadeEasy software to compile accurate photogrammetry & geo-referenced maps of each field. Whilst other drones were available, AstonTech decided that the P3P provided the right combination of portability and image quality required to capture the required imagery. AstonTech is licensed by the CAA to operate commercially and in line with regulations, each field was subject to an on-site safety assessment. Using the Map Pilot app on an iPad, each field was treated as a separate deployment and the flying parameters were mapped out for image capture with the P3P drone deployed at a height of 60m. This height provided the ideal combination of accuracy (to approximately 2 inches) and flight time. The fields ranged in size from the smallest at around 35 acres to the largest at over 113 acres. This meant that the number of images captured for each of these fields ranged from 84 to the largest at over 300 images. Each image captured by the P3P was at a native resolution of 12Mp. The Map Pilot app made planning each deployment simple and straight-forward with the app supplying accurate information regarding the number of images to be captured, anticipated flight time along with an estimation of how many batteries would be required to complete the deployment – due to the size of each field, each mission ended up being a “multi-battery” deployment. Capturing the images took two whole days of drone flying using the P3P and 8 batteries at a time. Each day consisted of flying time for 16 batteries meaning that all 8 were re-charged throughout the day. Flying time varied on the size of the field, wind & the prevailing lighting conditions. Poor lighting conditions meant that the P3P`s speed was automatically adjusted by the Map Pilot app to ensure that only the best possible images were captured. The Map Pilot app performed flawlessly with no issues during the whole two days. Each mission was planned on the iPad and uploaded to the P3P drone, which then went off and captured the images as planned. Even when a battery change was required, the P3P faithfully returned to the home point, landed and once a new battery was inserted, the P3P resumed its mission each and every time! This was the case even when a mission required 4 batteries. The app was amazing and was rock-steady. In accordance with CAA regulations, the P3P was never deployed beyond line of sight but did manage, on occasions, to be almost at the maximum 500m distance from the operator. Even at this distance, the P3P performed just as the app planned – faithfully flying the planned lines capturing the images as it went. Throughout the whole two days, there were no issues or problems – it was just amazing!!! Once all the images were captured for each field, they were uploaded via the MapsMadeEasy website, so that accurate geo-referenced maps could be compiled. Due to the size & number of images, all the maps were subject to points use and were not free. The MapsMadeEasy website processed each set of images and produced the full range of available maps – however, the ones required for measuring the damage were the high-resolution .tif images. These were downloaded from the website, saved locally and then imported into Google Earth Pro where they were accurately placed using the geo-referenced information captured automatically by the P3P drone. Each map was imported and placed accurately and flawlessly by Google Earth Pro – which is a testament to the high-quality image processing by the MapsMadeEasy online software. The results of the whole deployment meant that accurate measurements could be taken of the areas that had been damaged – thereby allowing the owner to claim the requisite compensation. This would not have been possible without the deployment of a drone and the MapsMadeEasy software which was totally invaluable and flawless. The P3P performed really well over the two days of flying – proving its reliability and robustness. The Map Pilot app was totally amazing – allowing on site-planning and deployments to take place in real-time. The app was totally stable and totally controlled the P3P drone ensuring that each deployment was not only safe, but effective.  The combination of the P3P drone, Map Pilot app and MapsMadeEasy website, provided a seamless workflow process which was not only cost-effective and but efficient. The maps that were produced were high-resolution which meant capturing and measuring the damaged areas was not only possible, but made easy. AstonTech Multimedia Services is authorised by the Civil Aviation Authority to carry our aerial work on a commercial basis. They are located in the South West of the UK and specialise in mapping and surveying work. Their website is www.astontech.co.uk or phone number 07545 967517.